The situation regarding Cuban currency is always changing. At the moment, you can use the Euro and the Canadian Dollar in your major hotel or around the resort. The exchange rate is often better at a big resort hotel than in a Havana hotel. The Convertible Peso, known as the CUC, is legal tender for tourists and Cubans. 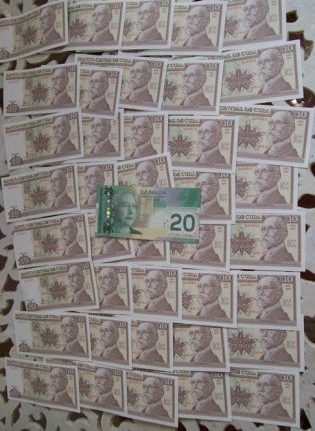 Twenty Canadian dollars can buy this many Cuban National pesos. This is why you will hear Cubans say, "The tourist is a king." 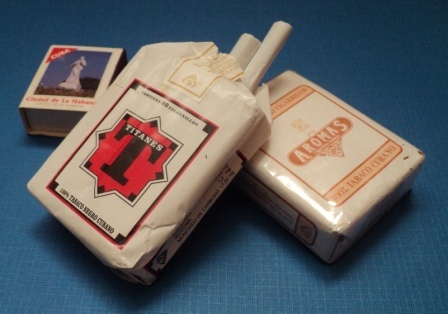 Cuban National pesos are used by the Cuban people but are also legal for use by tourists. Tourists are allowed to exchange their CUCs for Cuban National pesos at official CADECAS. National Pesos go a long way. You can attend the 1950s-era cinemas in Havana for 2 National pesos. 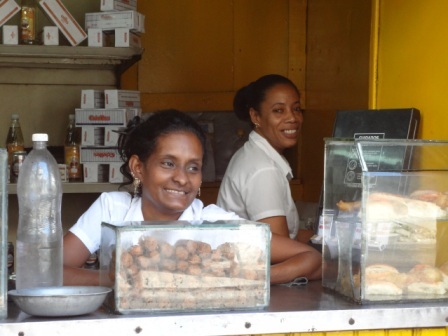 A homemade ice-cream, which is sold by entrepreneurs from windows along the streets, goes for about 3 National pesos. Each peso is worth about 4 cents. However, you may end up taking this currency home as souvenirs. You can buy street snacks, and cheap plastic or tin items from Peso stores, and take local bus rides. 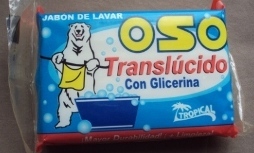 And items such as Cuban cigarettes and soap are peddled from city doorways for National pesos. 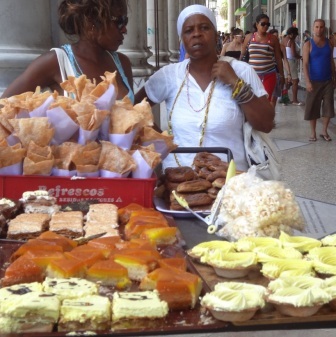 Sweets sold on the street are sold for National pesos. Like all areas of the city of Havana, you can find locals doing work of some kind to earn extra pesos. The peanut and candy sellers pass among the crowds, while troubadors appear with guitars at any time.